The Kansas City Police Department is gathering and distributing information faster than ever. That’s in part because of the city’s portable camera system. Sgt. Jacob Becchina in the department’s Real Time Crime Center explained that these cameras can help officers in the field in real time. 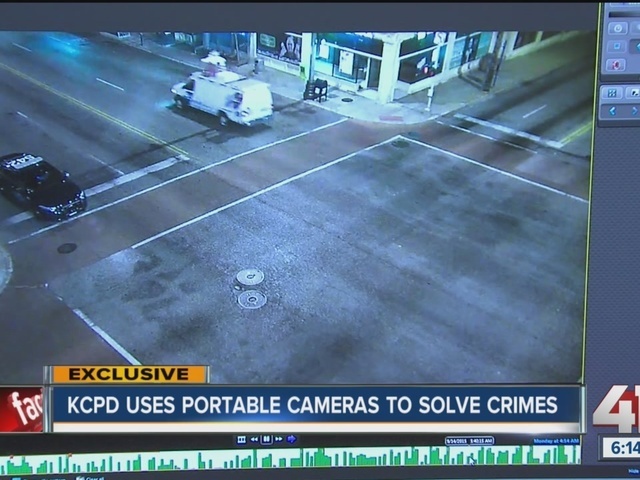 “These cameras that we have throughout the city, that Sgt Rauzi maintains, these are just part of our operation in the Real Time Crime Center but they are probably one of our most valuable parts,” explained Sgt. Becchina. Sgt. Patrick Rauzi strategically installs mobile cameras throughout the city. He showed us how an armed robbery suspect commits a crime and is caught all within a matter of minutes. Sgt. Rauzi points out the police cruiser pulling up to the intersection and making a suspect description match. Other officers in the area arrive soon after and charges are filed the next day. The Crime Center monitors these cameras from a central location. Information can be gathered in real time and communicated to officers in the field immediately. In this case of armed robbery, police took the suspect off the street before he could strike again. “We make that video part of the case file so when we send it to the prosecutor they have all of the information that we have available in regards to that,” said Sgt. Rauzi.